The plucky off-roader mixes retro design with a modern interior and safety tech - but can it impress across the board? In today's crowded car market, where rivals appear to be separated by no more than a couple sheets of tracing paper, we're accustomed to pointing out just how much pressure there is on manufacturers to make sure their wares standout. 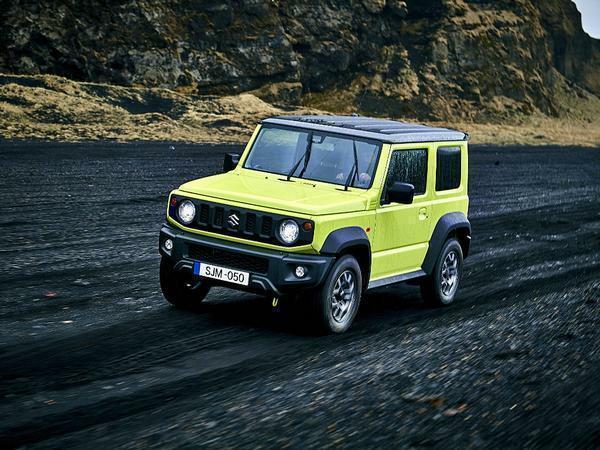 But that doesn't feel like the case with the latest Suzuki Jimny. 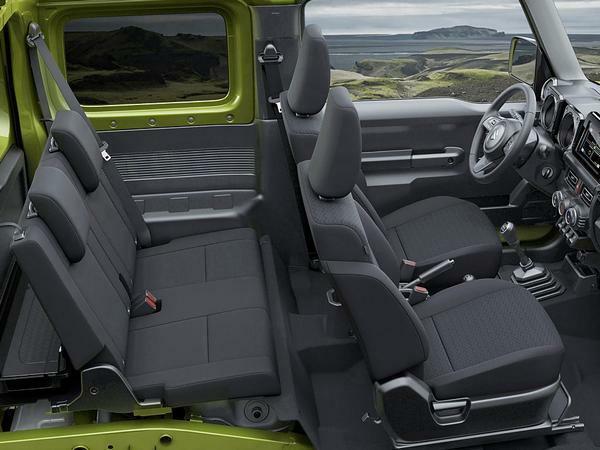 The fourth-generation 4x4 has landed at the edge of the motoring equivalent to a penalty box, faced with an open goal so wide you could fit ten Jimnys across the goal line. It has no direct rivals and therefore no segment benchmark to queer its approach - which you'd think would make it a rather easy sell. But that's not quite the case. 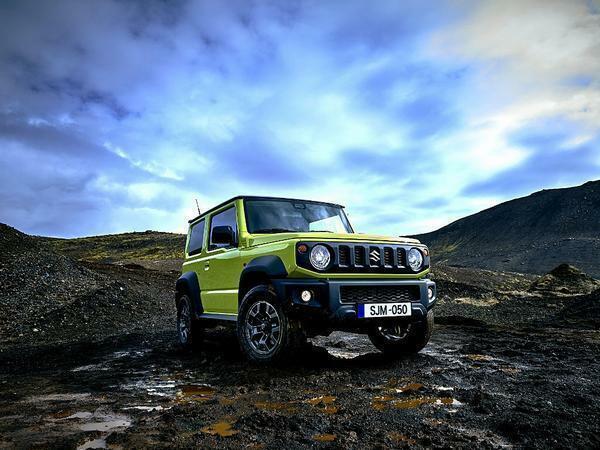 The Jimny's unique selling points - its hardy off-road character and extensive list of rugged features that ensure it can walk the walk - are also potentially its biggest pitfalls. A ladder frame chassis and squidgy muck-ready tyres are, after all, not necessarily what you want when on-road handling and refinement are also high on the small car buyer's wishlist. Case in point: the old Jimny (the Mk3 that was the first to be sold in Britain), which remained a miniscule seller in the UK, with an off-road focus so great that it barely inched into four figure sales each year. 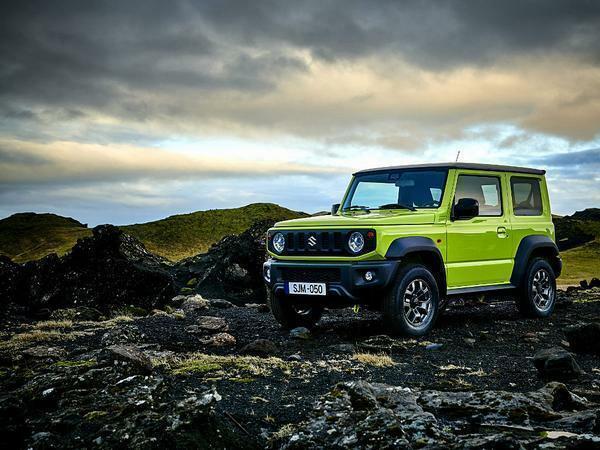 Suzuki has higher hopes for this new car, though, which is due on UK roads in January 2019, as evidenced by the much more extensive kit list included to make it more user friendly, as well as the car's more distinctive design, which looks even better in the metal and gives the Jimny real on road presence - despite its supermini footprint. 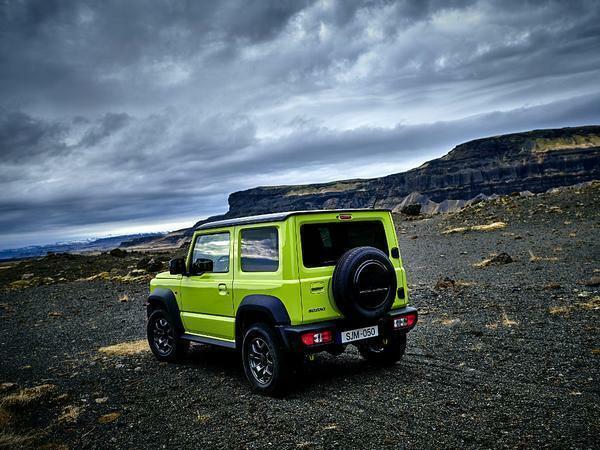 That it bears a strong resemblance to a Mercedes G-Class is probably (almost certainly) no coincidence. 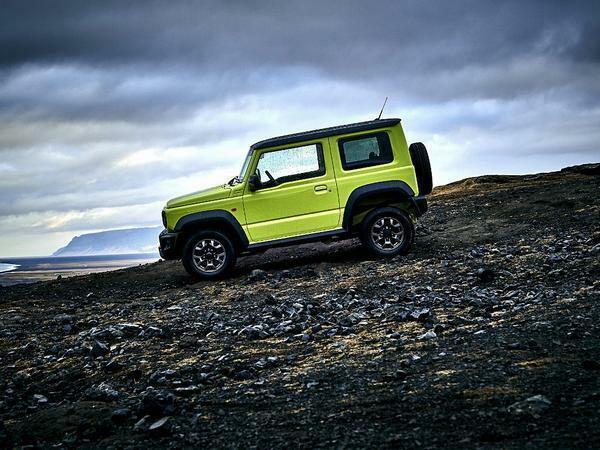 Neither is the inclusion of chassis hardware that ought to make the Jimny at least as effective at driving off-piste as the larger and far pricier German box on wheels. 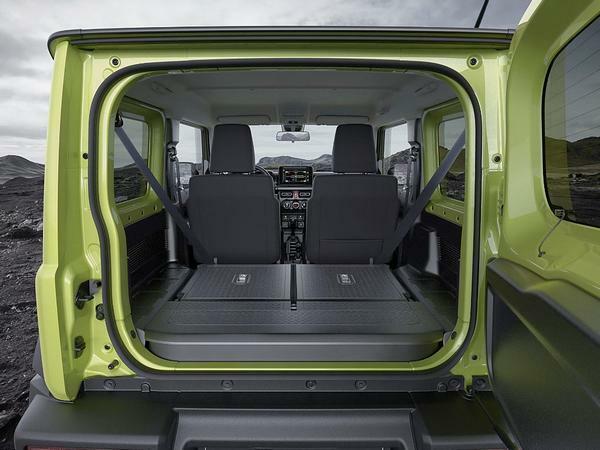 Key to its performance is its rigid axle suspension at both the front and rear. With this layout, if, say, the left front is pushed up by uneven terrain, the axle will naturally push the right front down to claw at the surface below while the body on top stays level. It's proper off-roader stuff and a very, very far cry from the car-adapted underpinnings of your average soft-roader with clutch-based 4x4 technology (ahem, Haldex). The Jimny does admittedly get a part-time four-wheel drive system, but it's the proper mechanical one that is controlled by a second lever on the floor behind the five-speed gearbox's that switches the low range transfer 'box from 2WD to 4WD H (high) and, if you need it, a 4WD L (low) gear. The driveline also benefits from Suzuki's Allgrip Pro torque control technology that's designed to improve traction and grip during hill descent and incline situations. Oh, and the car has enough ground clearance for an approach angle of 37 degrees and a ramp breakover angle (the angle at which a mound the car is passing over can be at) of 27 degrees. So while your average soft-roader stubs its nose and scrapes its underside on the tough stuff, the Jimny should be able to tippy toe over without rubbing its belly. Our test route certainly puts those claims to the test. 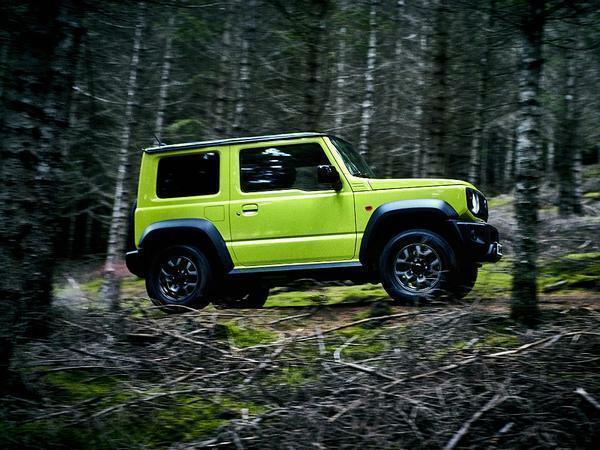 Not far from Suzuki's European development base in Germany, in the forests of Constantia, PH is let loose to see how the Jimny fares on the sort of landscape that would cause most crossovers to fracture a suspension spring or two. We're talking paths with arrow-head sharp, fist-sized rocks on, muddy inclines a storey tall with unseen dips, as well as flooded fords with water almost as high as the tyre tops. Even when sat in a car as upright and purposeful as the Jimny, the routes look intimidating and ready to total an SZ5-spec (that's top spec but we'll also get a lower-priced SZ4 in Britain) car within the first few dozen miles of its life. But they don't. The Jimny just clambers over mounds and crests not only with a clear surplus of grip but also a surprising degree of refinement. There's none of that harsh bump stop-hitting jolting that you'd get in an old Land Rover Defender, with the tiny Jimny - which hardly weighs a crampon more 1100kg - flaunting a rubberised ride and somehow allowing its occupants to remain relatively horizontal. That'll be the work of those rigid axles and eight rubber mounts for the bodyshell. The car only comes with a naturally aspirated 1.5-litre four-cylinder engine that produces 101hp, but on these surfaces it feels more than up to the job. As anyone who ventures far off road will know, grip and manageable torque are more important than outright power and the Suzuki comes with a superbly tractable clutch and gearbox, with 4WD L and the constantly working Allgrip Pro tech making mincemeat of the slipperiest sections. The car uses a five-speed manual gearbox as standard, which we tested, and it feels entirely tough enough to handle the clunks and slips of this type of terrain. A four-speed automatic will also be offered at a later date. Cabin space is small, with the two back seats taking up almost all of the potential bootspace. Then again, Suzuki reckons many buyers of this car will be using it for work, so fold those seats down and you're presented with a more respectable storage space and seat backs that are laminated to protect them from damage. 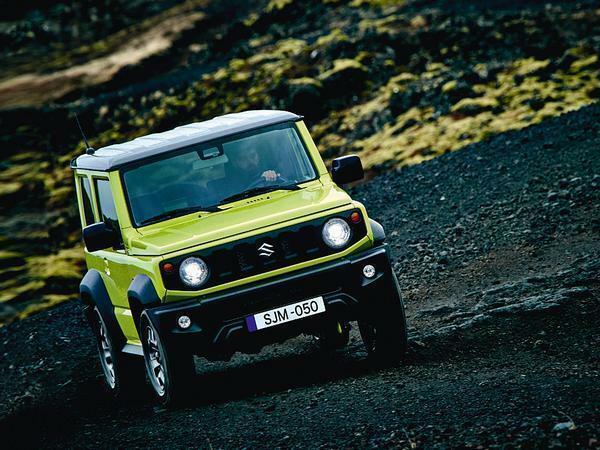 The Jimny also gets mod cons like Suzuki's infotainment system with sat nav, plus the interior is a design success story in itself given that it perfectly matches that purposeful exterior. Hard touch plastics and a dashboard grab handle emphasise the car's tough 4x4 status, while large buttons allow those wearing gloves to operate the vast majority of controls (touchscreen excluded of course) in the cold seasons. Does that robust, plucky character work everywhere? No - there are far better options available for anyone looking to pop to shops that aren't located on the north face of Snowden. 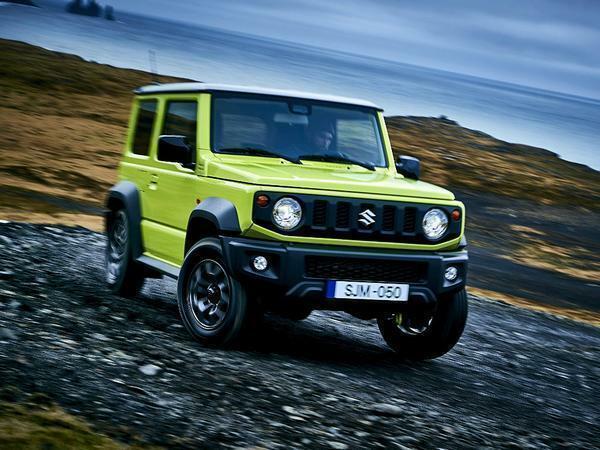 But, much like the rest of Suzuki's current range, the car still has much wider appeal than you might expect, and there's little doubt that a significant portion of buyers will want it precisely for its quirky personality and rugged looks. 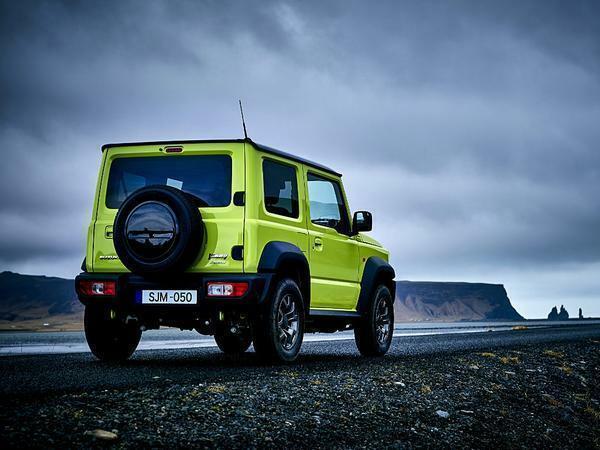 Much like owners of a Defender are heard to proclaim, if you find yourself falling for a Jimny, it will be as much for the foibles as anything else. And if the rumours regarding a UK starting price of £16,000 turn out to be true, you'll probably love it for being cheap, too. Panda 4x4? Why no mention of the obvious rival. Similar price/performance/weight, and a clever 4WD system. Advantage Panda: has four doors, available as a 'Cross' version with greater ride height and front/rear underbody protection, better interior, Bluetooth & air con and so on. Advantage Jimny: Looks like a Jeep. Surely you mean steer its approach? Maybe not.